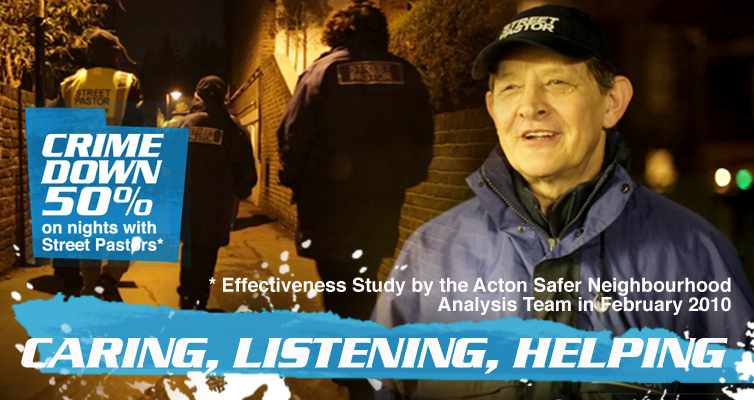 Street Pastors from Ealing Street Pastors on Vimeo. 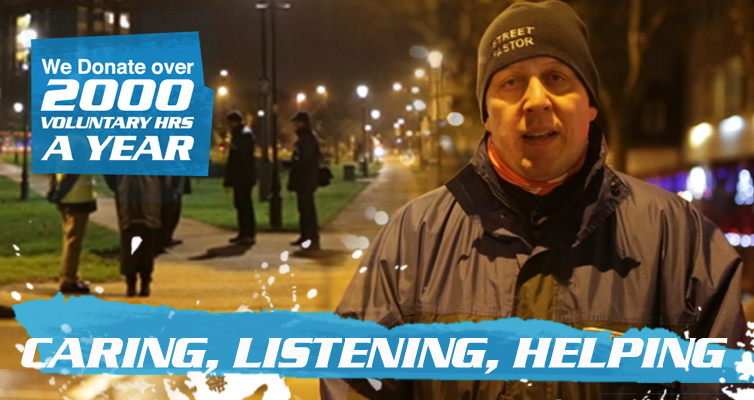 Walk the streets of Ealing, Acton or Southall at night? To listen, care and help. 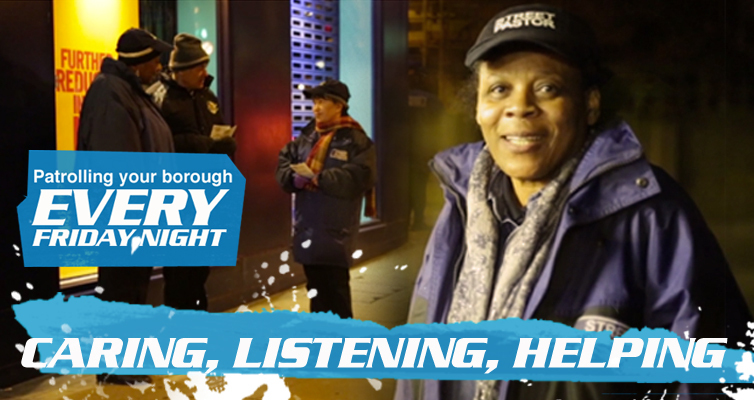 Well that’s what Ealing Street Pastors get up to most Fridays and Saturday nights across the borough of Ealing. 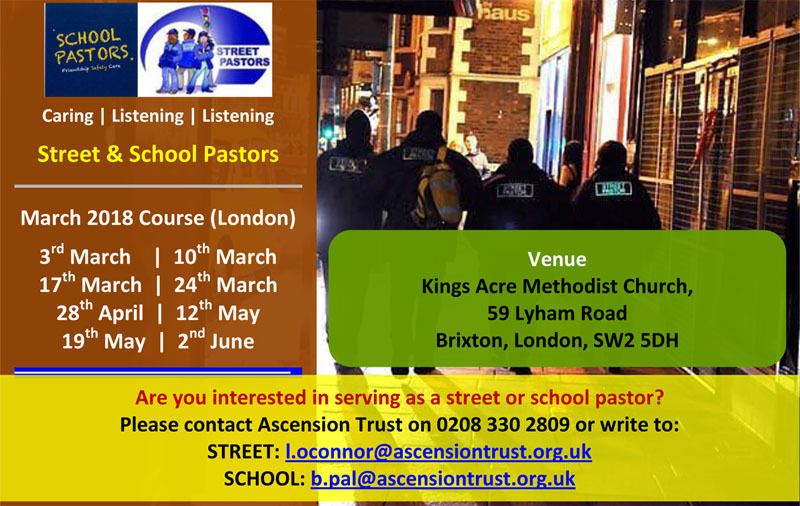 Are you interested in coming our with us? Then get in contact as there are opportunities to come out as an observer. Do you want to meet up and form a partnership with your charity or agency work? 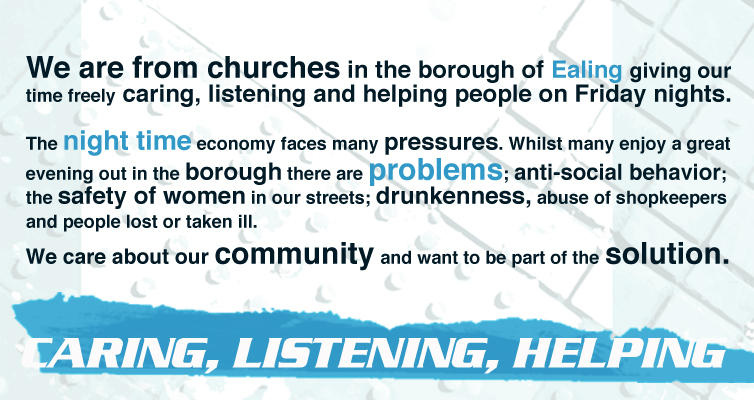 We are always on the look out for great ways to look after our community, especially in the night time economy.